Unless you hate good food and calming atmosphere, then you should stay away from these Hobart based restaurant. I like to eat, and there is nothing I would like to do than to show you that Hobart’s got places to eat too. If you ever found yourself in Hobart and you want to let your tongue be pleasured by the many restaurants in Hobart, then you should go and read this article because this article will list three most favourable restaurants of Hobart that you should visit if you are a gourmet. Wait, why did I include a Chinese restaurant in this list? Should not I put a restaurant that serves Hobart cuisine or something? If you think that way, then you will regret not reading this article. This place here, Me Wah (which means ‘exquisite setting’ in Mandarin), serves Chinese food (as if it is not obvious). 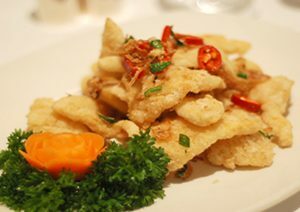 If you love Chinese food and you want to taste them, then you should visit one of the best restaurant that serves them. Another place that you should go when you visit Hobart, is Hearth. You see, if the subtitle is not clear enough, let me tell you that this place is the best Italian restaurant out there in Hobart. Many people, especially people who like Italian food, reviewed this restaurant as one of the best Italian restaurant in Australia. If you crave Italian food and cosy surrounding, then you should give Hearth a try if you ever in town in Hobart. P.S. many customers said that their beef brisket pizza is delicious. Go try them! Seriously, if the name is not enticing enough for you, then you must be the most uncurious person in this world. If the name of this place is not obvious, this restaurant is a revolving restaurant. What is a revolving restaurant? A revolving restaurant is a restaurant that revolves around an axis. Usually located at the highest floor of a building, this restaurant will revolve while you eat. No, you would not get sick even when the restaurant is revolving because the spin speed and the place was designed so that you will not feel nauseous when it revolves. Back on the Point Revolving, this place is the place to eat if you want to see the magnificent city of Hobart, all while eating a well though food and accompanied by friendly staffs. My tip? Go to this place on diner and enjoy Hobart’s night time on top of the spire.